Are you ready to invest in your child’s future with a straight smile using braces in Casper? That is great! Correcting their bite and alignment concerns not only gives them a confident smile but also improves their oral health. While you are excited to get started, we understand you and your child have plenty of questions about the process and how braces work. We have the answers you need for a stress-free treatment. What are the Components of Braces? Brackets: Small metal pieces are bonded to the front surfaces of the teeth to apply gentle but constant pressure to a tooth to move it into position. Wires: Wires are connected to the brackets to apply pressure to the teeth. Adjustments are made to the wire throughout the treatment to move the teeth. Bands: Bands add stability for a bracket and evenly distribute pressure when placed around a tooth. Elastics: Elastic bands shift the entire bite at once instead of only individual teeth to correct advanced issues, like an over or under bite. Your dentist in Casper determines the length of time you can expect your child to have braces. On average, the treatment takes about 18 to 36 months; however, there are several factors that influence the duration, such as the complexity of the case. How Often Does My Child Need Appointments? We recommend your child has an appointment at least once a month to allow us to monitor the movement of their teeth. This also lets us make adjustments to the wire as needed to keep them on track with their treatment. 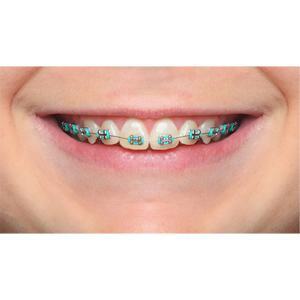 We will also check their braces to ensure they are undamaged and functioning as intended. These appointments are usually short and easy. Your child will experience some discomfort for a couple of days after they first have their braces put on. As a result, they may want to eat softer foods until the soreness subsides. There may also be some slight discomfort when an adjustment is made to their wires. If you are ready to invest in your child’s future with a straight, healthy smile, contact Casper Children’s Dental Clinic today to schedule their consultation.